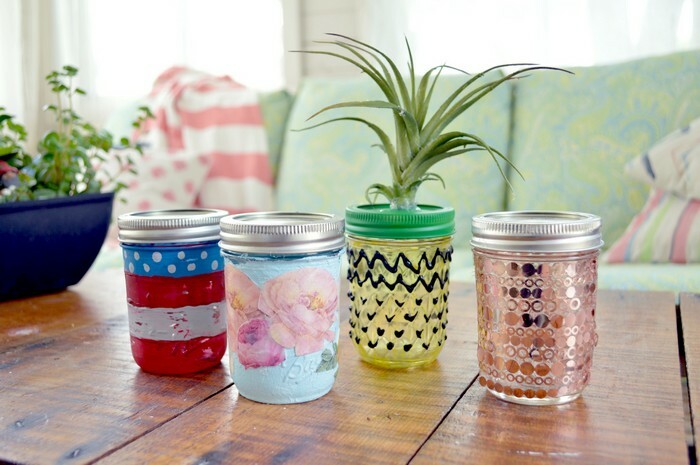 Are you tired of mason jars yet? TOO BAD. I think this tutorial might be my favorite of the week, and it is stinking simple. 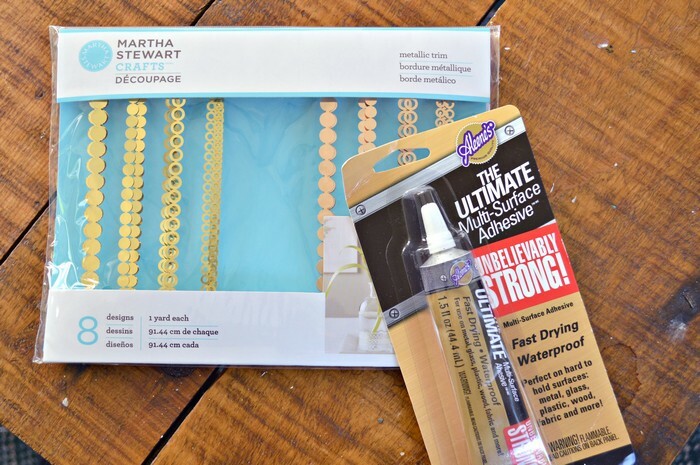 If you can glue things to other things, you have the exact skill set this project requires. 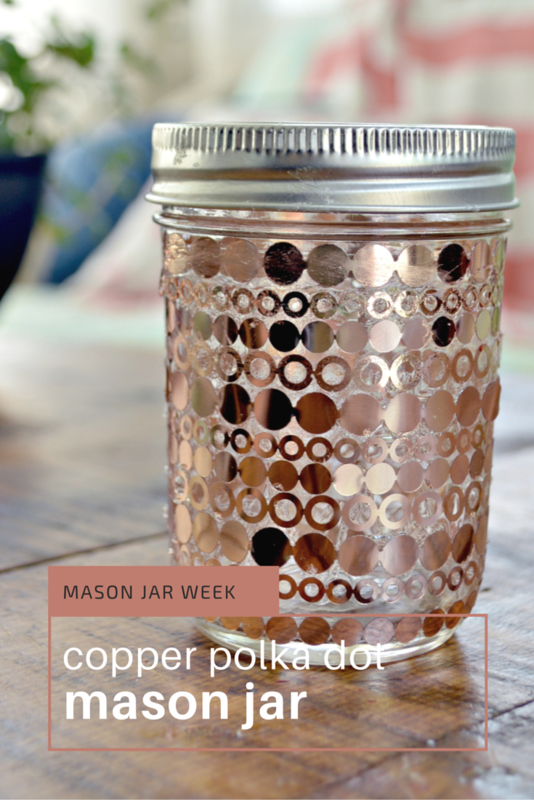 Keep on scrolling to see how to make this pretty copper polka dot mason jar. 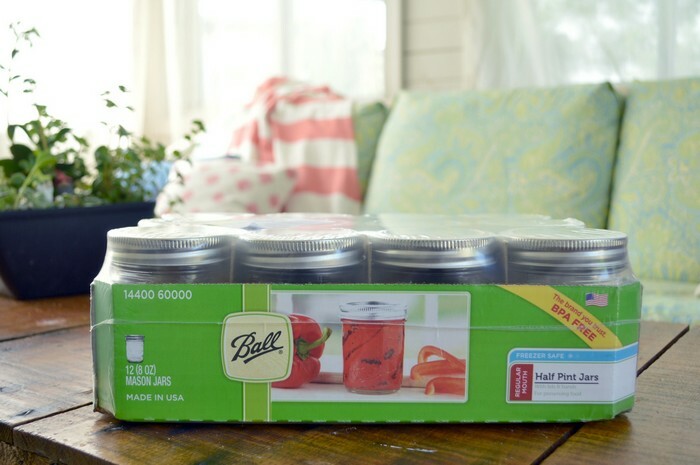 This week I’m joining a small group of creative bloggers to share summertime projects featuring mason jars. Check back here each day for a new tutorial and links to all the other tutorials from the day. The first step is always the same. 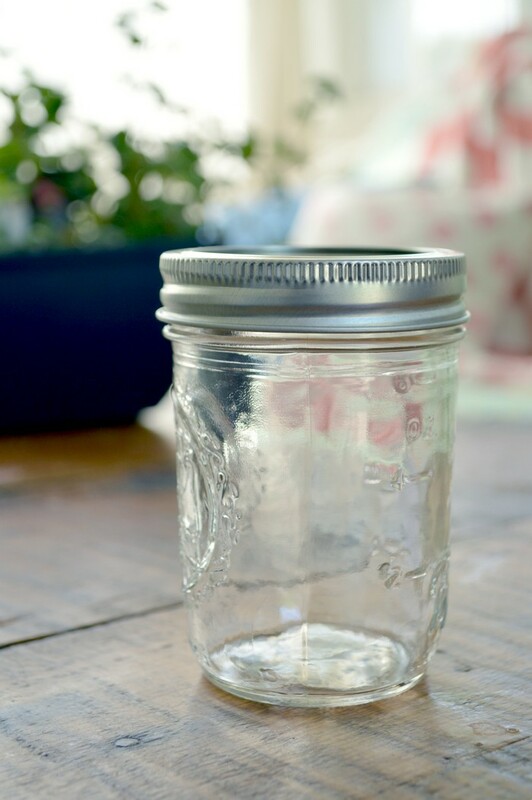 Wipe the jar down with rubbing alcohol to remove any dust or grime from the glass. 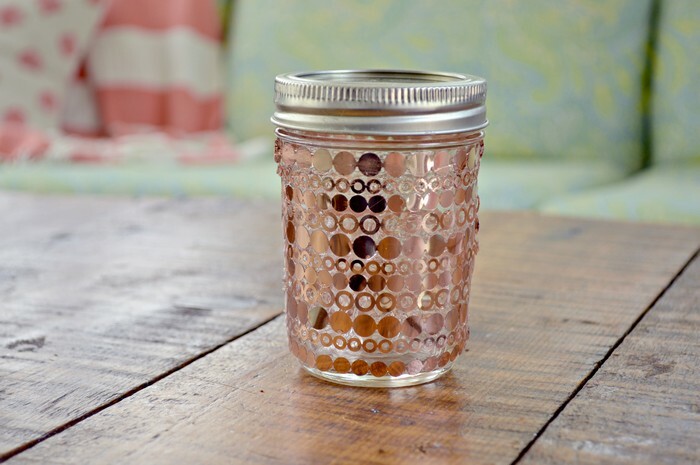 To decorate this mason jar, I chose to use some metallic trim from Martha Stewart Crafts and Aleene’s adhesive. You could replicate this look with decoupage, but I wanted to make sure my decoration was waterproof, so I went with the Aleene’s. The process could not have been simpler. I added adhesive to the sides of jar, wrapped the trim around the jar, and cut the trim when it began to overlap. I repeated that process until the whole jar was covered. One word of warning: This adhesive means business, which means it is also very stinky. Make sure to have some good ventilation when you are using it! 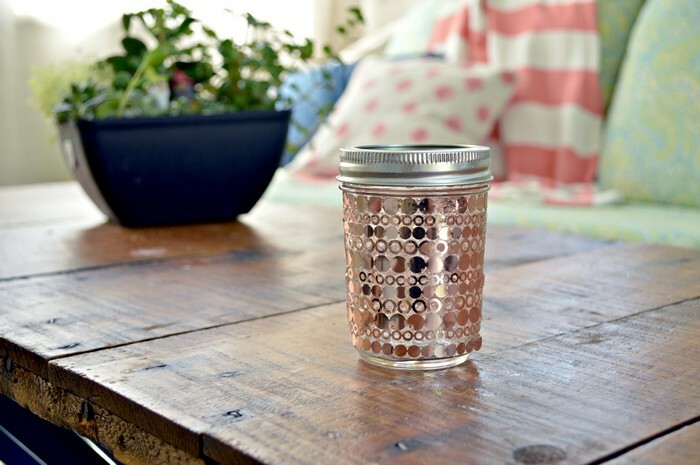 I have a few ideas for how I am going to use this pretty copper mason jar, but you will have to come back tomorrow to find out what they are!